Georgia (2006), Georgia Court of Appeals, Supreme Court of Georgia, United States District Court for the Northern District of Georgia, United States Court of Appeals for the Eleventh Circuit. 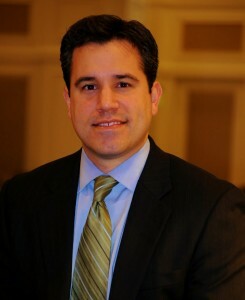 Mr. Sierra is a 2003 graduate of the University of Georgia and a 2006 graduate of Cumberland School of Law at Samford University, where he earned Dean’s List honors and served as a member of the American Journal of Trial Advocacy, the nation’s oldest law review dedicated to the art of trial advocacy. Mr. Sierra represents individuals and corporations in a comprehensive range of business disputes, including breach of contract and partnership conflicts, and a variety of additional matters including negligence, premises liability, fraud, insurance coverage and defense, and real estate transactions. He has successfully represented plaintiffs and defendants in all phases of civil litigation from initial pleadings, discovery, and motion practice through trials and appeals. Mr. Sierra also has substantial experience resolving matters through alternative dispute resolution, including pre-suit negotiation and mediation, and he regularly assists clients in litigation prevention and evaluation. In addition, Mr. Sierra is bilingual (English/Spanish). Mr. Sierra was selected by his peers for inclusion in 2013, 2017, and 2018 Georgia Rising Stars. Visit his profile online here.